I love the format of the story. Did the story come first, then the formatting, or did the format help shape the narrative at all? I decided from the start that I’d write all three of the stories in the series as a mix of “chat” transcripts and traditional narrative, so the format was determined at the start. The way the story is told is of course part of the *story* itself, and the two are inextricably linked. I understand that you love researching for your stories. Can you tell us about any research you might have undertaken for this one. For a story about the near future, there is a great sense of human history in this tale, from growing tomatoes with your grandmother to the growth of singularity. I get the sense that history is often important to you in your writing. I think path-dependence is very important to the history of technology as well as the history of nations. We live in a palimpsest, where decisions made in the past constrain the set of choices available to us today: the locations of our cities; the layouts of our trails, roads, railroads, telegraph lines, and fiber optic cables; the governments and institutions suited to our cultures and traditions. In a genre like scifi, usually understood as fiction speculating about the future, I like to inject some measure of this path-dependence from history. How long do you work on a story in general? It varies. Some take as long as several years; others are done in a few hours. I’m not a planner, so it’s not unusual to hit a wall during drafting that requires time to sort out. The stories in this series were all relatively smooth to draft. Finally, what projects have you got coming up next?The Grace of Kings, a silkpunk epic fantasy inspired by Chinese historical legends and featuring airships and giant water beasts, was being released by Saga Press on April 7, 2015. I’m working on the sequel right now, and it’s been a lot of fun. I also have a few short stories and translation projects coming up later in the year that I’m excited about. 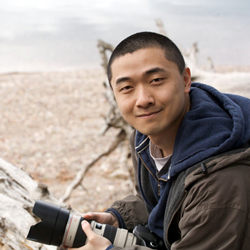 Ken Liu is an author and translator of speculative fiction, as well as a lawyer and programmer. A winner of the Nebula, Hugo, and World Fantasy Awards, he has been published in The Magazine of Fantasy & Science Fiction, Asimov’s, Analog, Clarkesworld, Lightspeed, and Strange Horizons, among other places. Ken’s debut novel, The Grace of Kings, the first in a silkpunk epic fantasy series, will be published by Saga Press, Simon & Schuster’s new genre fiction imprint, in April 2015. 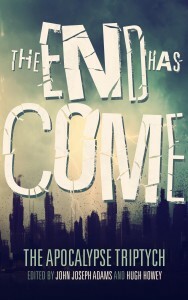 A collection of his short stories will also be published by Saga in 2015.